A woman has had her dead sister's ashes tattooed into a portrait across her back so they can "always be together".Nicola Hollands, 27, was devastated when her beloved sister Charlotte died 22 died in May from leukaemia .She decided to get a touching tribute to Charlotte - a tattoo of her with angel wings covering her back. 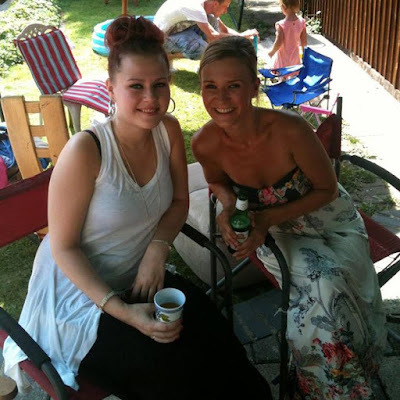 Mum-of-two Nicola, from Cardiff, had the artwork made by a mixture of ink and her sister's cremated ashes. "Charlotte was such a huge part of my life I wanted the size of the tattoo to represent that. "She was so brave and battled through pain every day of her life. "In comparison my pain in having it done is nothing." Charlotte developed leukemia after suffering a rare genetic disorder, Shwachman-Diamond syndrome (SDS)which affected her immune system, pancreas and bone marrow.